Now that Halloween is behind us and the last embers of Guy Fawkes Night are slowly fading into the cold November nights, we now find ourselves in a vacuous gap, that period of inactivity leading up to Christmas when it seems somehow out of place to be gathering speed, heading towards the jolly holiday season. With the onslaught of the Christmas adds on television and the ever-growing list of presents to buy I’d thought I’d offer a little diversion of a post. 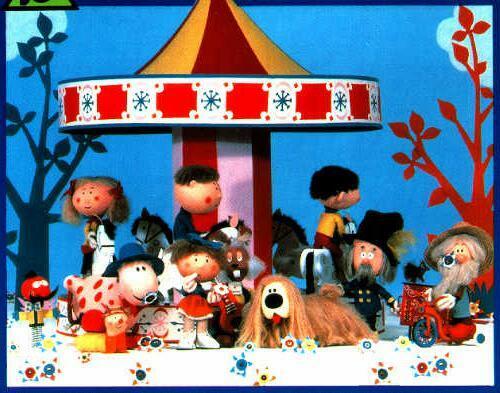 So crank up the kettle and enjoy this little creation for a fan of the much beloved Magic Roundabout, in particular the character of Florence. 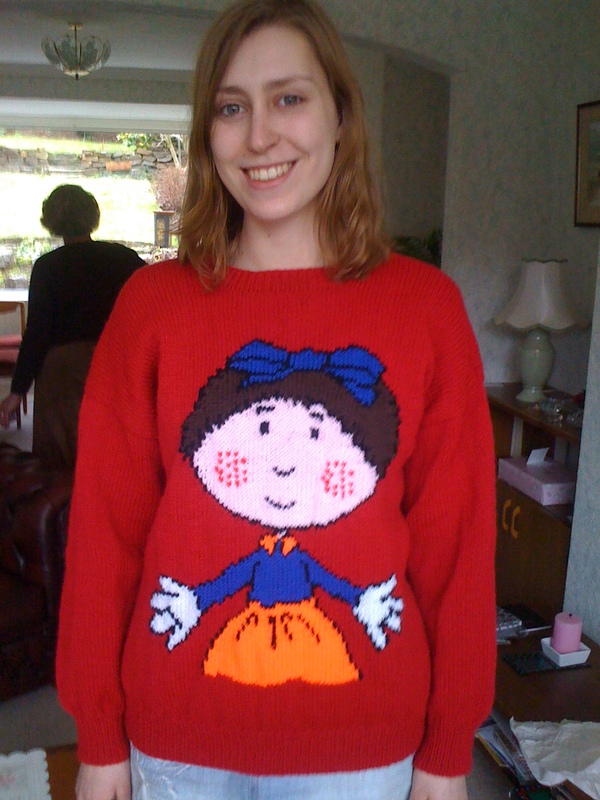 Perhaps the owner of this jumper can relate to the polite, level headed girl from the colourful children’s programme from the seventies. Of course it begs the question dear readers, which character from the roundabout series would best reflect you and would look rather handsome on one of our jumpers. Could you think of someone who is grumpy like Dougal or has an over active mothering complex and fond of singing like Ermintrude. Do you know any guitar playing hippie types like Dylan, the rather dopey Rabbit? Or is there anyone who appears in and out of your life with a loud BOING!!! like Zebedee or an unsophisticated but well meaning character in your life like Brian. I hope by the end of your cuppa you’ve got a couple of ideas for pressies for those magical people in your life. So brace yourself, hold on as the festive fever takes hold and the sounds of galloping reindeer quickens, as we all get sucked into the eye of the glittery storm to come.